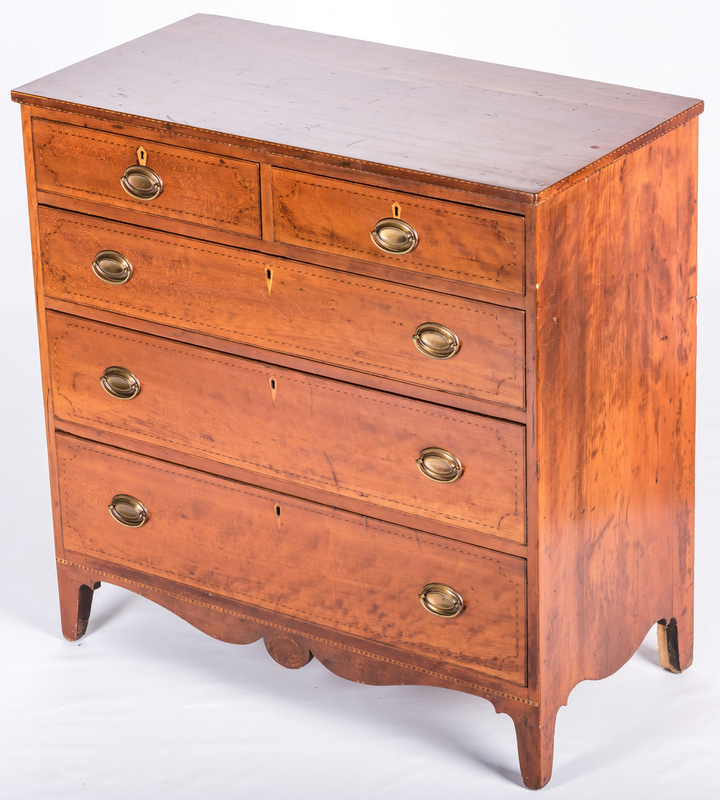 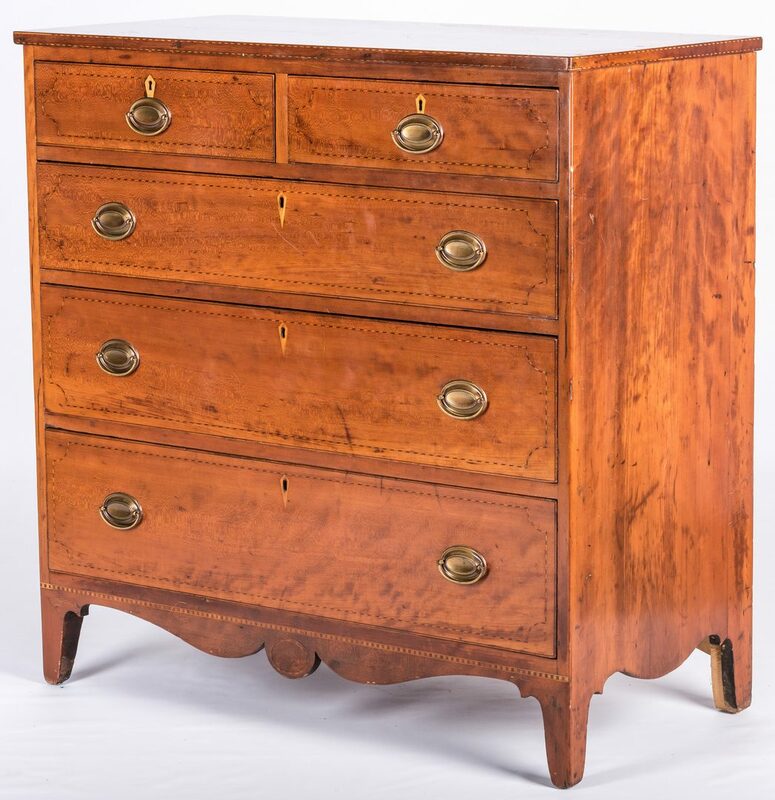 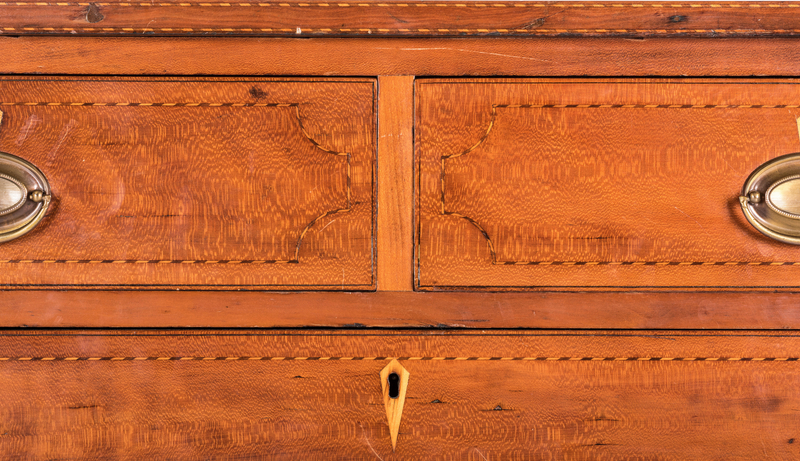 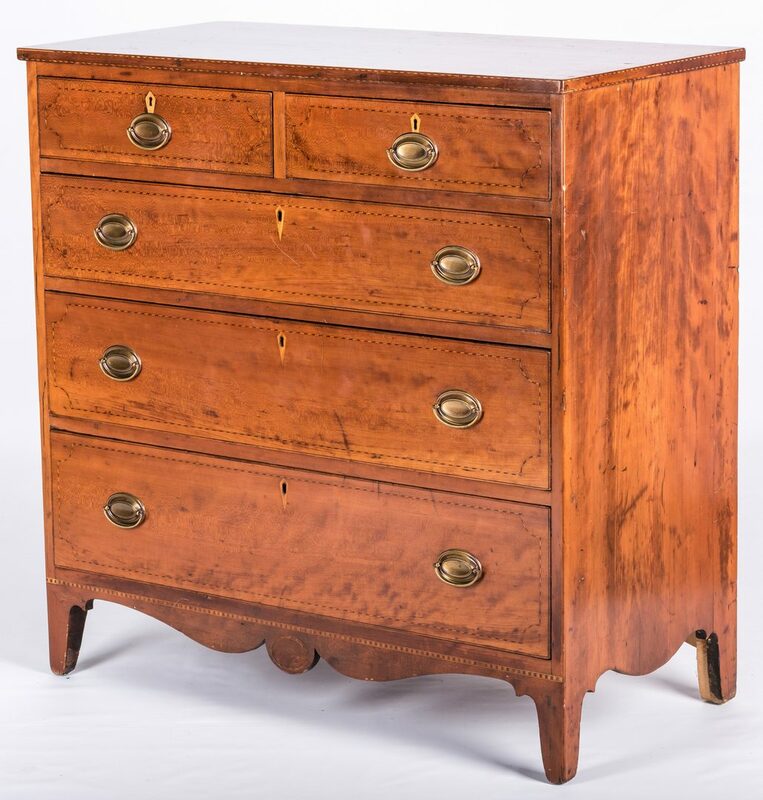 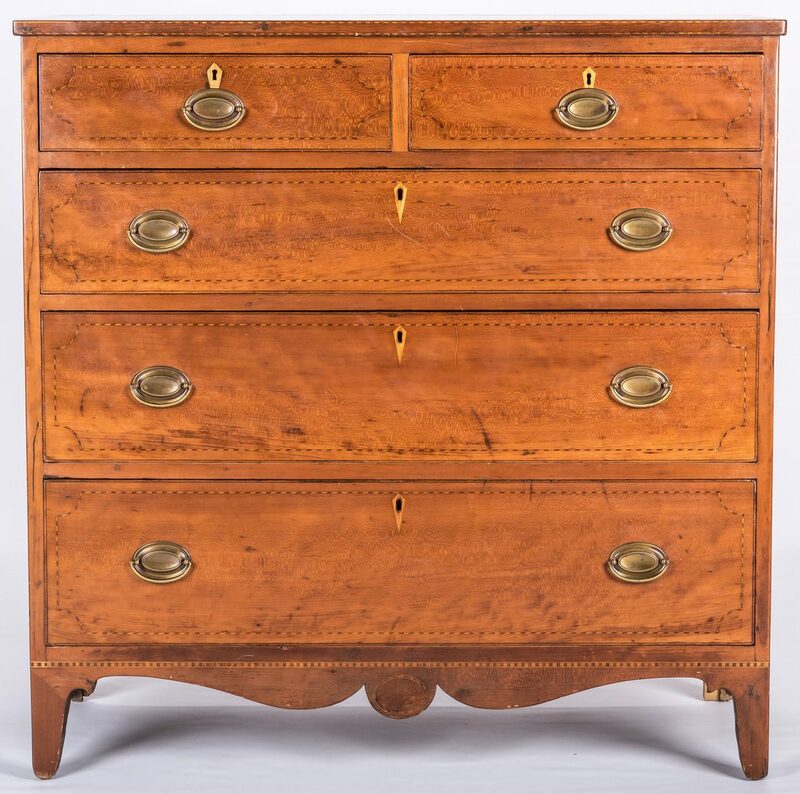 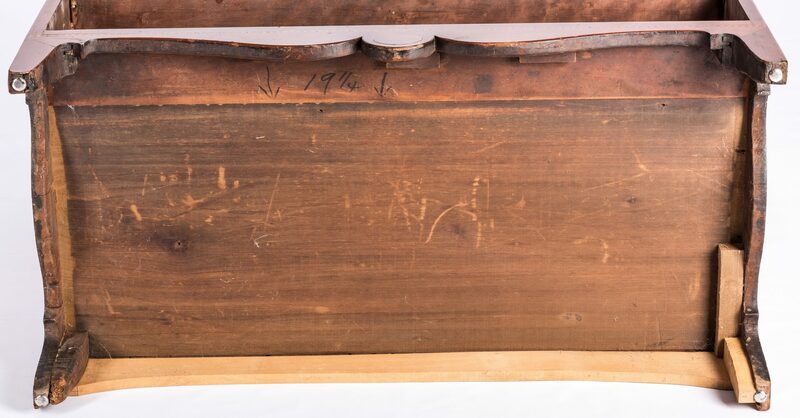 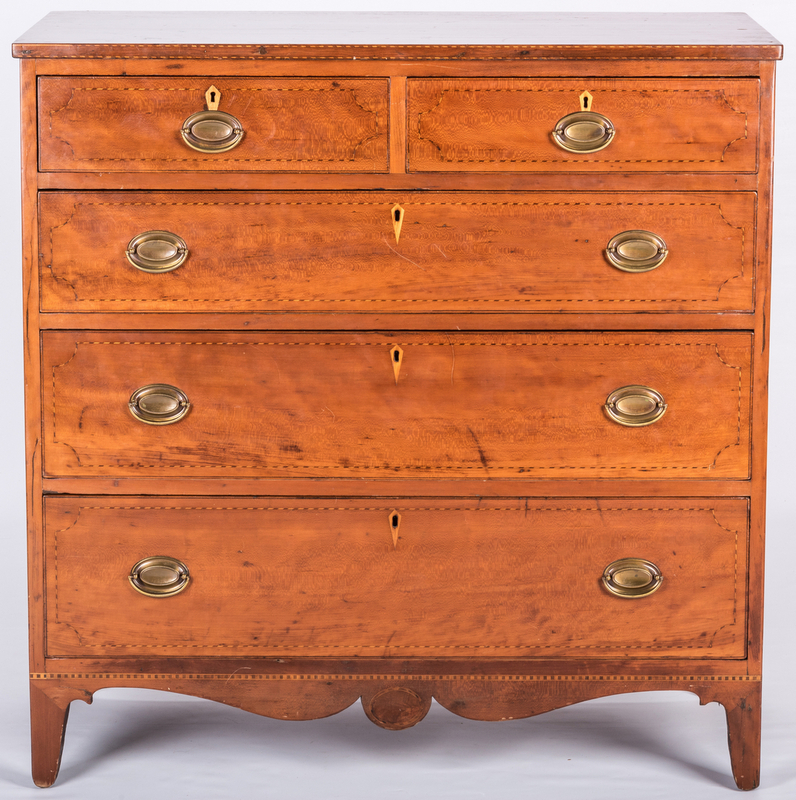 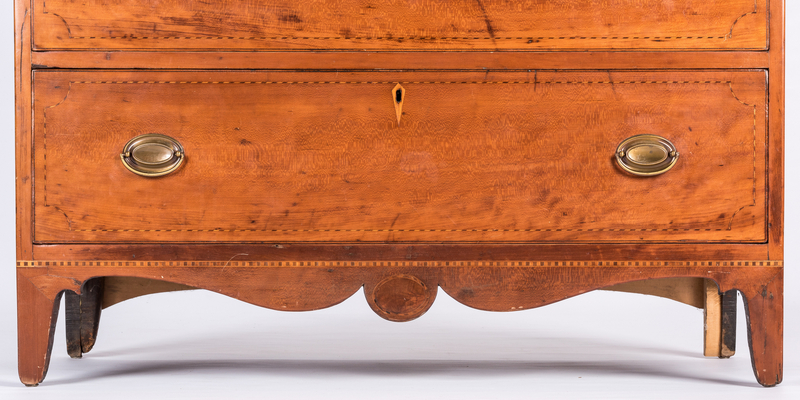 Kentucky Hepplewhite chest of drawers, attributed to the cabinetmaking shop of Porter Clay (1779-1849; brother of statesman Henry Clay), Lexington. Figured cherry primary, poplar secondary. 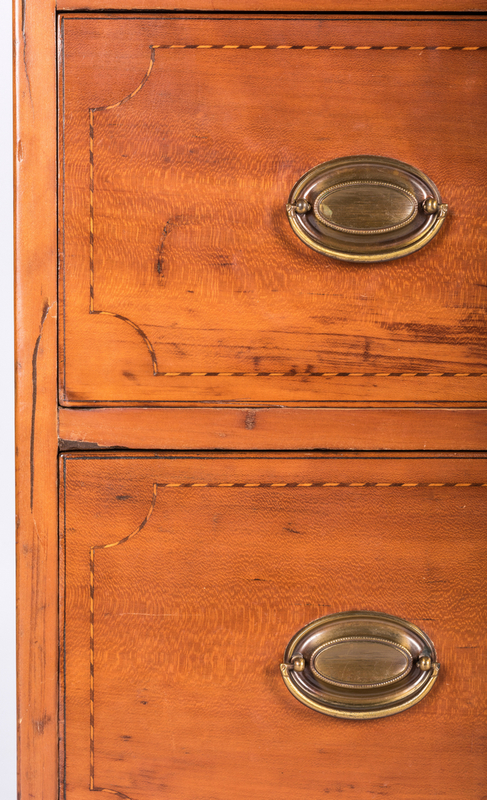 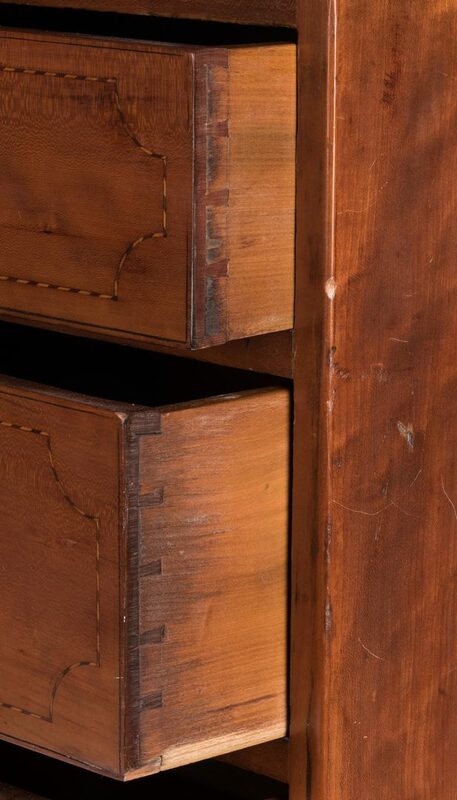 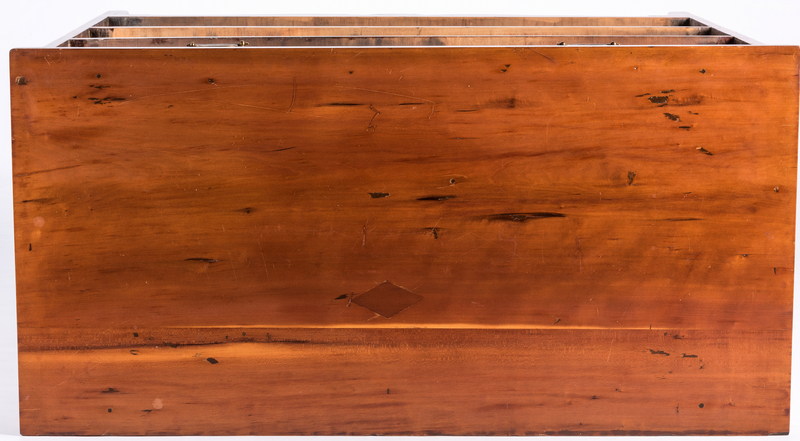 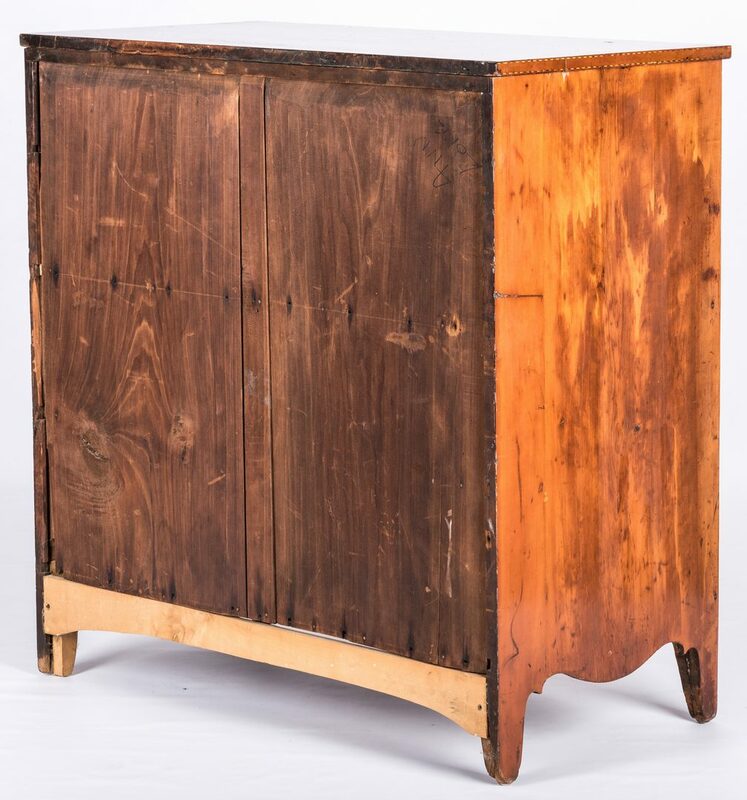 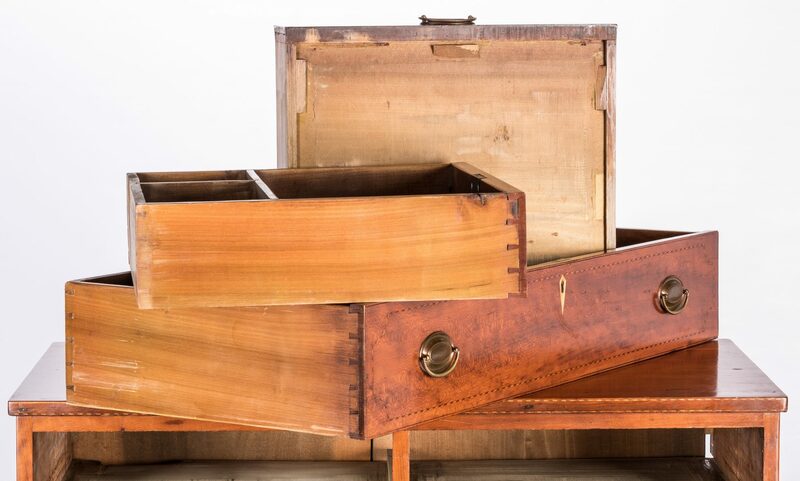 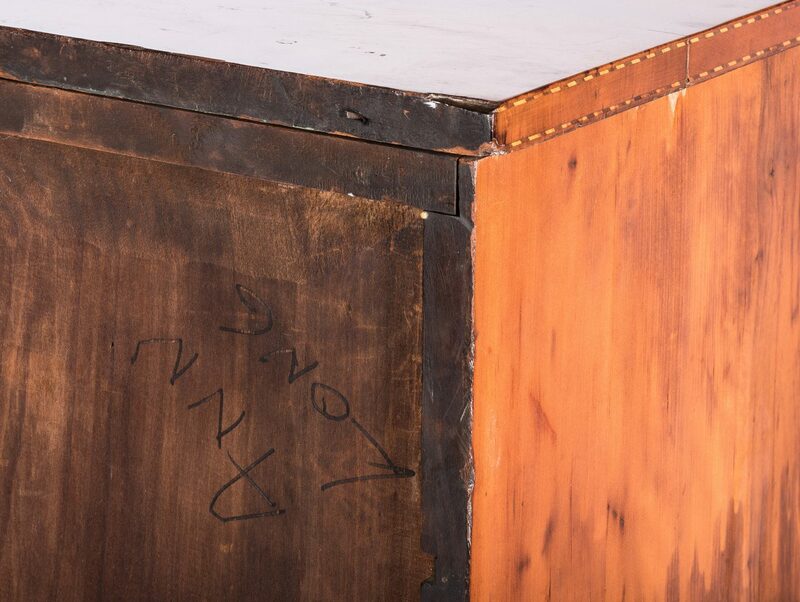 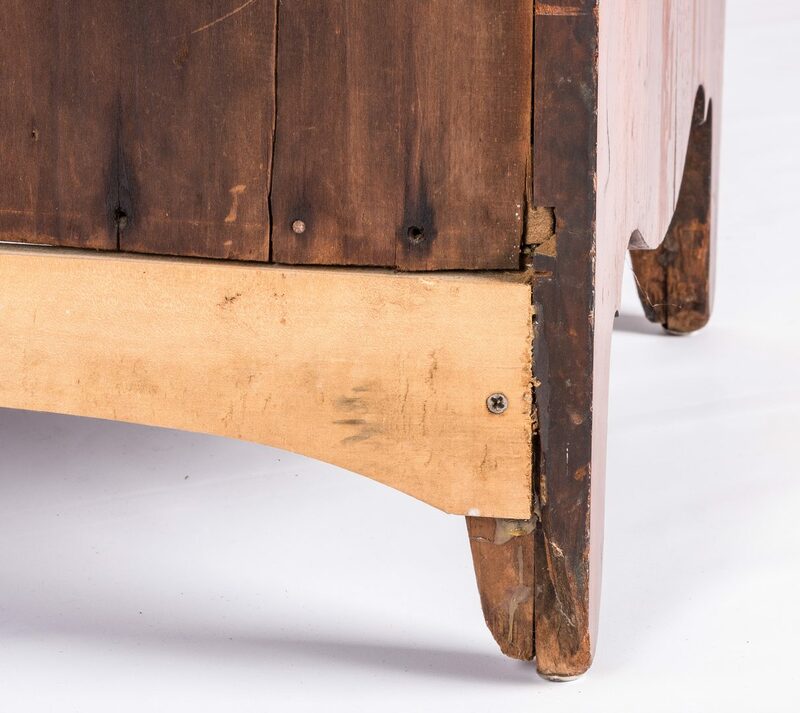 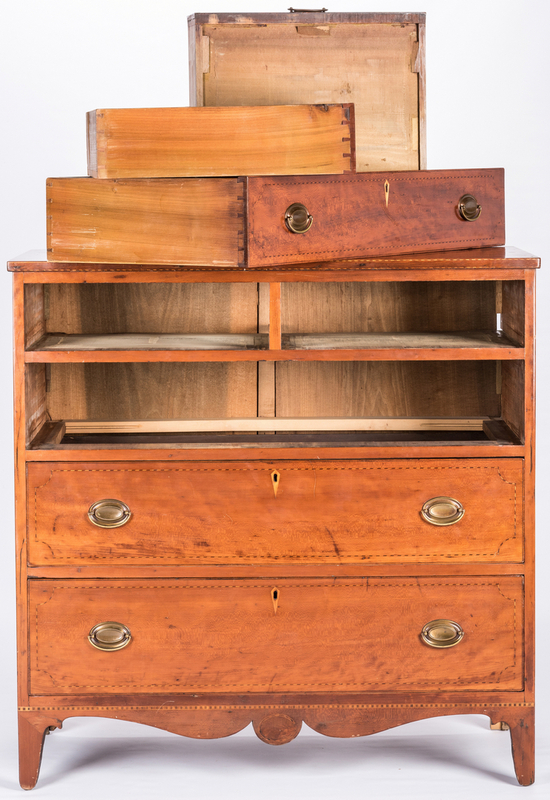 Comprised of an unmolded, overhanging top with barber pole inlay to top and bottom edges, four graduated tiers of dovetailed scratch beaded drawers, the top tier with two half drawers, left drawer with divders. 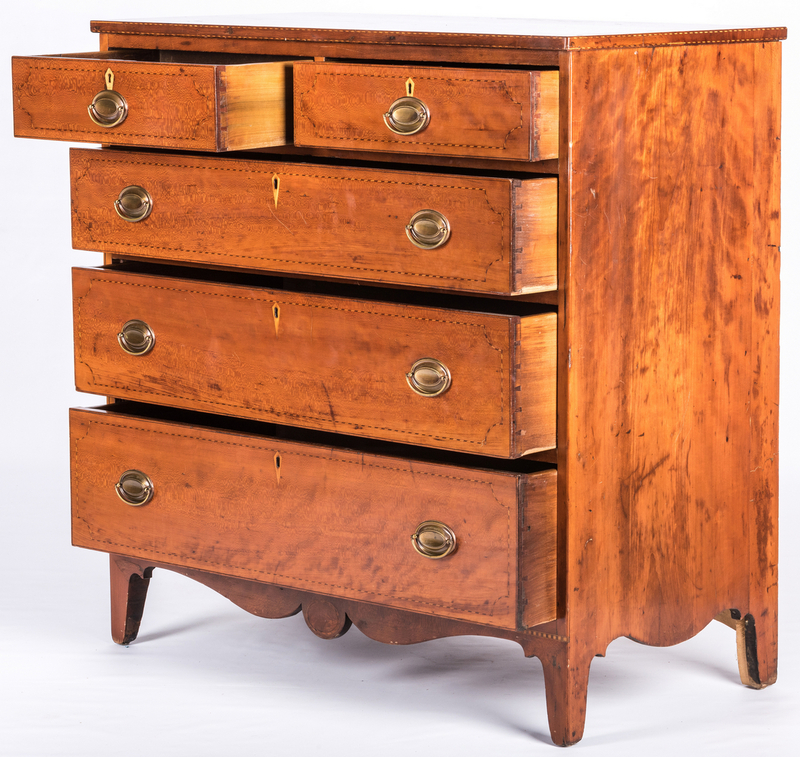 All drawers with barber pole inlay, diamond inlaid escutcheons and oval brass pulls. 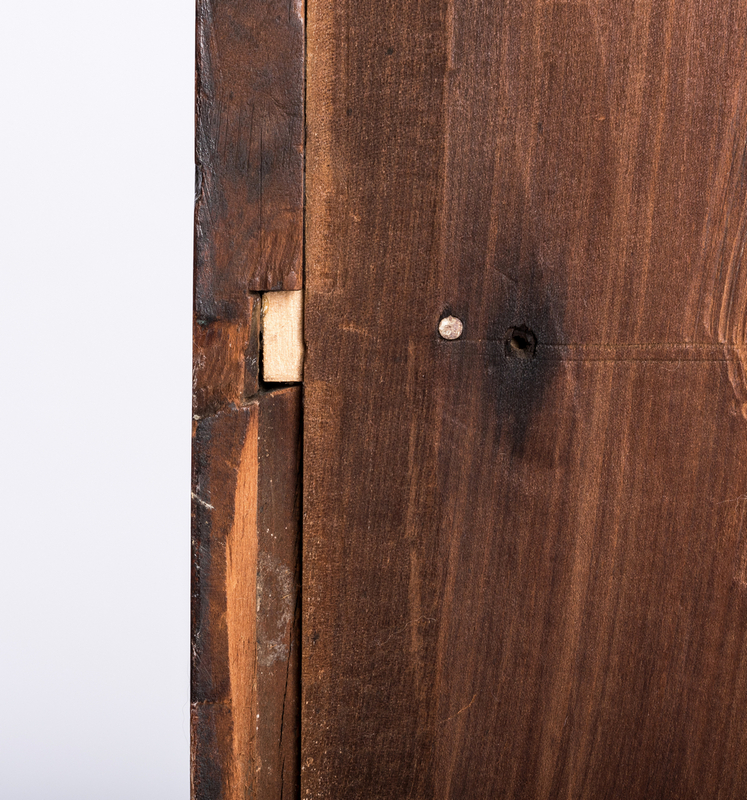 Base of case with alternating light and dark inlay, shaped skirt with lozenge inlay to the center and French feet. 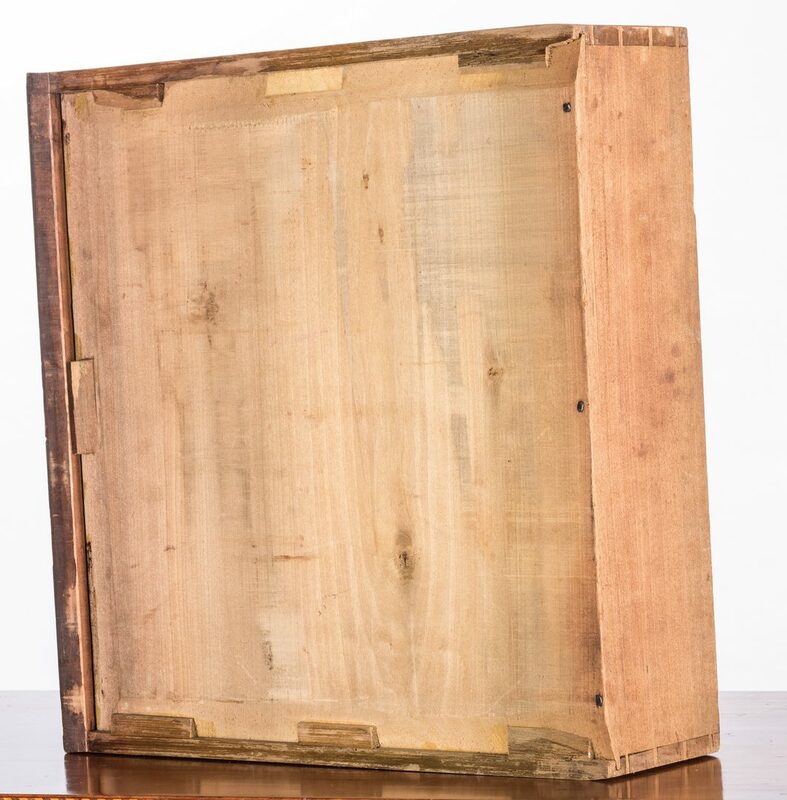 40 3/4" H x 40 1/4" W x 20 1/2" D. Circa 1820. 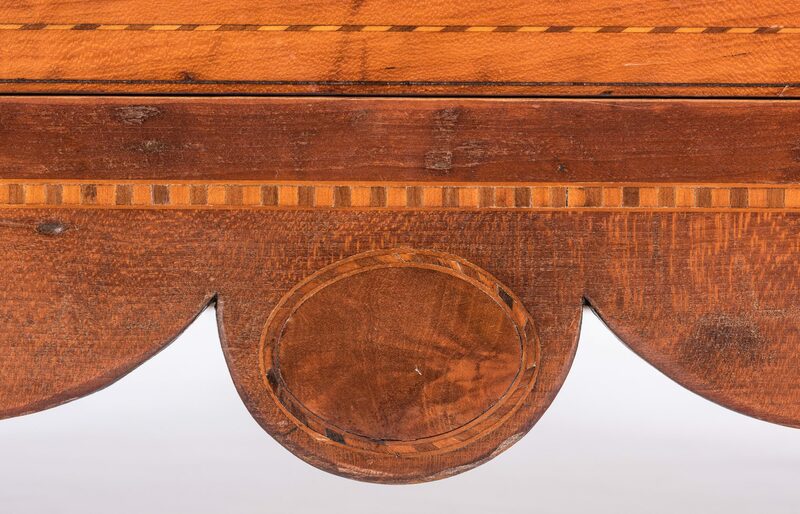 For a discussion of Porter Clay and his furniture, published by The Museum of Early Southern Decorative Arts, refer to http://www.mesdajournal.org/2015/porter-clay-a-excellent-cabinetmaker-part-one-biographical-account/. 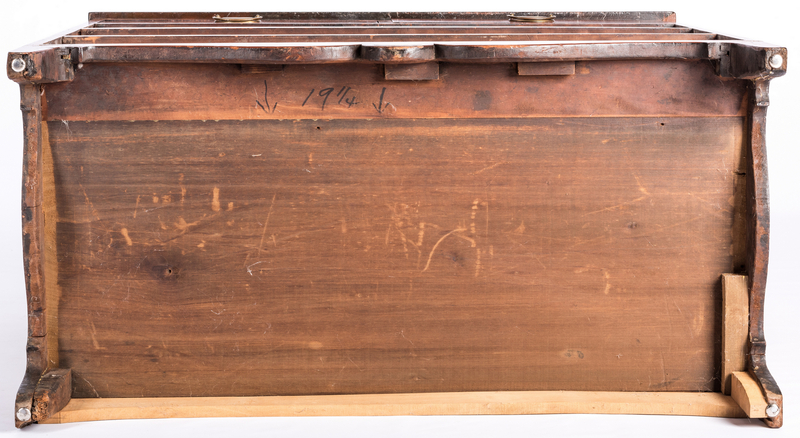 Provenance: Estate of Lynn Scholl Renau, Louisville, Kentucky. CONDITION: Older refinish. 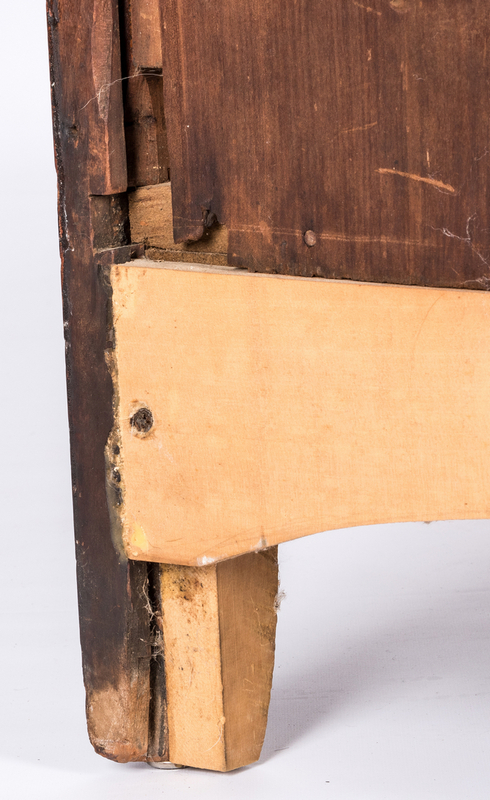 Lower back board, rear right foot block and back case edge replaced. 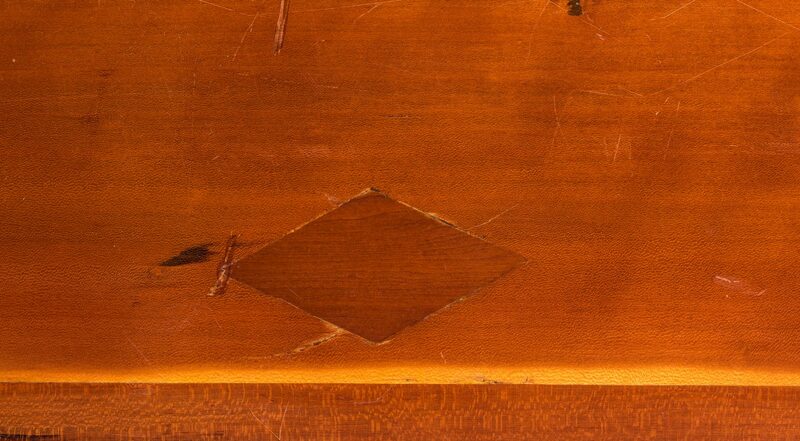 Diamond shaped patch to top, additional patch to left top corner.